Transcendent Holdings is a private investment company belonging to Tarik Abbas. Investments are early stage and range across multiple industries in technology-enabled businesses. “Transcendent” means going beyond ordinary limits, at Transcendent Holdings, this means investing in companies that we hope, will surpass the ordinary. As Paul Graham has said, "start-ups don't win by attacking, they win by transcending". Entrepreneurs are welcome to e-mail Tarik Abbas at tarik@transcendentholdings.com with "Pitch" in the subject. Bazaar is a B2B marketplace and logistics platform for recurring high volume SMB purchases. We are simplifying the entire wholesale distribution channel. Broker Buddha is a B2B SaaS company in the tech-starved commercial insurance space. Our product reinvents the commercial insurance buying process. Burrow is a direct-to-consumer furniture brand maximizing convenience, quality, and lifestyle at an affordable price for millennials. We’re building a new kids’ product company for a new generation of parents. Our mission is to radically improve the experience of buying kids’ products and put money back in parents’ pockets at a time they need it most. Dandelion makes it easy and affordable to heat and cool every home with the renewable energy in the ground: geothermal energy. Goby is looking to revolutionize oral care starting with your toothbrush. Goby's electric toothbrush is superior in every way to the current offering, with a price point that blows the competition away. Industrial/Organic has built a revolutionary organic waste processing technology. The process, low in odor and emissions, creates a feedstock with utility in an array of industries. Little Spoon makes quality nutrition accessible to children everywhere by creating the freshest, healthiest meals personalized to each child’s evolving developmental needs. Quickframe is an on-demand marketplace for original video. The design-first, tech-enabled hardhsell suitcase at an accesible price. Raden is stylish and functional, offering an elevated travel experience built for everyone. 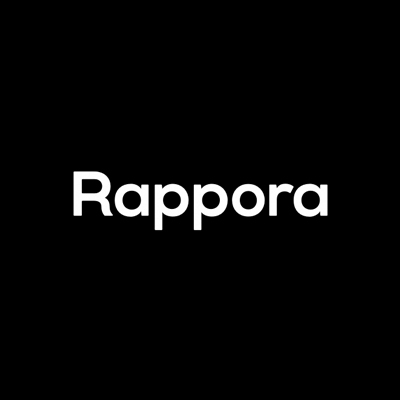 Rappora is home care agency software. We help agencies efficiently monitor and coordinate care to prevent expensive hospitalisations and readmissions. Reach Robotics is creating the future of gaming by fusing robotics, augmented reality and competitive play to revolutionise the toy industry. Rebel is bringing true interactivity to email. Our product powers secure interactivity inside of emails for e-commerce and SaaS companies. SkySafe provides world-class drone defense and airspace control solutions. We are founded by drone experts from MIT and the Air Force Research Lab to build an unprecedented level of airspace security. Terrafugia is an MIT spin out whose mission is to catalyze a revolution in personal mobility through the practical integration of land and air travel. TripVillas is the leading Holiday Home Rental website in Asia. Uppercase is reinventing performance management. We are redefining how managers think about performance management and transforming a decades old process. Vango is a global marketplace that connects buyers with independent artists. Our tech-forward approach is changing the way we buy original art. Wing is a digital-first carrier created by people sick and tired of the tyrants of telecom. Waggle is the leading B2C Pets brand. Our next generation mobile video platform aims to become the global media brand in pets and animals. Copyright © 2017. Transcendent Holdings LLC. © 2017 Under no circumstances should any information presented on this website be construed as an offer to sell, or solicitation of an offer to purchase any securities or other investments. The contents of this website are for informational purposes only. This website does not contain the information that an investor should consider or evaluate to make a potential investment.